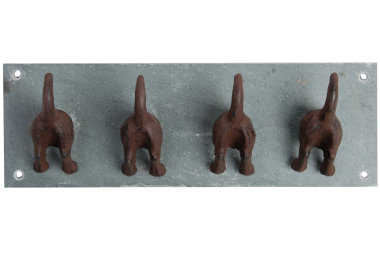 Add a touch of charm and fun to your country home with this delightful Dog Tail Hooks set. Each set features four hooks ideal for hanging garments, jewellery and other possessions you may want to organise. An ideal gift for the home or dog lovers. 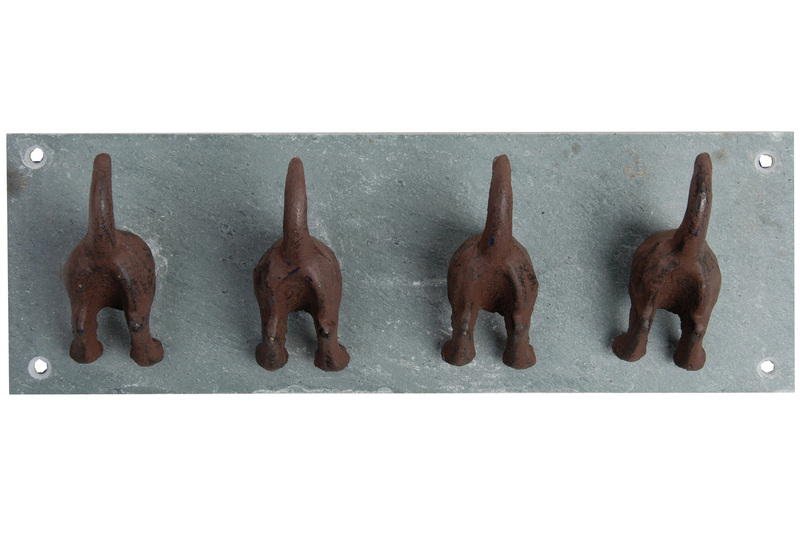 This cast iron item is individually handcast in keeping with tradition and craftsmanship handed down over the centuries. Free delivery for orders over £75 to England, Wales and Scottish Lowlands. Free delivery to Europe for orders over £105. For deliveries to the all other countries please contact us. Please contact us for shipping rates to all other regions. We partner with reputable couriers for all deliveries and where possible use tracking facilities. Delivery is subject to stock availability but we aim to dispatch within 3 working days of receiving your order. If your order is likely to take longer than 10 days we will contact you. Should you require your goods by a certain date, please make sure that this is made clear on your order and we will do our very best to oblige. Parcels usually require a signature but we may be able to leave your order in a safe place if you instruct us to do so. If you require goods to be delivered to an alternative address, please let us know when you order. Any order may be cancelled within 4 days from receipt of goods and goods must returned within 10 days of cancellation. Returns after 10 days are by agreement and may be subject to a restocking charge. In order that we can issue a full refund, goods should be returned in an unworn/unused condition, complete with tags attached and in the original packaging. You may wish to send goods by Recorded Delivery as we are not liable for returned items lost in transit. Costs incurred when returning goods are not refundable. Country Catalogue reserves the right to not refund shipping costs (inbound or outbound) and these may be deducted from any refund.